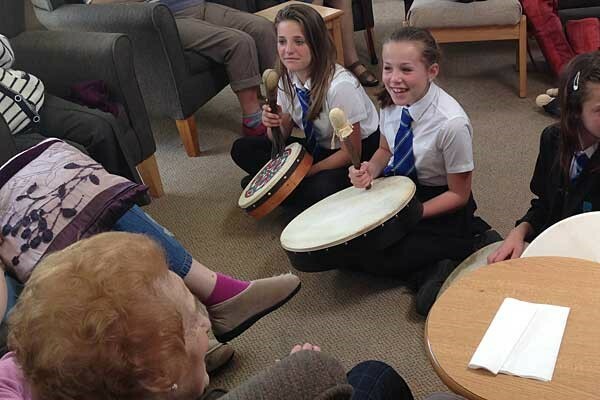 A group of Year 7 music students marked Dementia Awareness Week by joining care home residents in a drumming workshop. The six students went to Manor Court care home in Plymouth on 22 May 2014 to take part in the hour-long music session led by Lorna Coulson, a dementia consultant, who specifically invited students from the College to join the workshop. 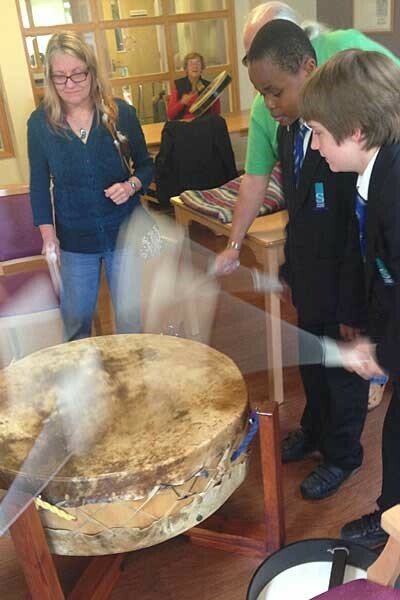 "The session related to the honouring of the elders through rhythm and song," explained music teacher Mr Crocker. "All of the children were very involved in the session and played on numerous drums, including a large drum called Spirit Of The Sound made from British Buffalo. "All of the students represented the College fantastically and engaged with the residents throughout the session."